I recall a couple of years ago listening to Simon Mayo’s Confessions on Radio 2 while driving back from the local train station. Radio 2 presenter Stuart Maconie admitted making up several whoppers from his sordid past when he was a journalist for NME (New Musical Express – popular music weekly newspaper). Most, such as David Bowie inventing the game Connect 4, and Neil Tennant of the Pet Shop Boys being a part time Rugby League Referee, are largely long forgotten. 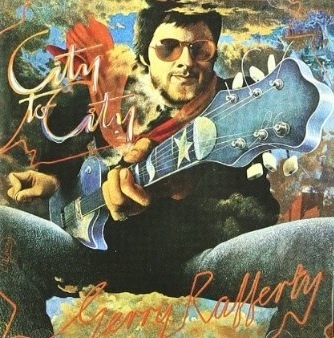 However, one took on a life of it’s own; he alleged that Bob Holness (of Blockbusters fame) played the Saxaphone sequence on Baker Street, the lead track on Gerry Rafferty’s City to City album. He’s now insistent that it was his lie on June 14th 1991. He shut his phone off when Gerry Rafferty died after he saw Bob Holness trending on Twitter that day. He met Bob Holness later on, who said he thought the rumour was hilariously funny. When Bob Holness died, Gerry Rafferty started trending on Twitter too. The one remaining missing piece of data is whether or not “Baker Street” was played at Bob’s funeral. Does anyone know? Update: True. Played at his own request. A fitting end (with a twist of good humour) to a great man.